On January 14th from 11am - 1pm. Free to attend - give your store a call to verify one is taking place. Our Annual Pinewood Derby will be held on January 22 from noon to 3 PM in the MPR! There will be racing, design competitions, and pizzas. Please be conservation minded and bring your own reusable bottle - fresh filtered water available from the nice refillable station in the MPR. We will once again have an open class for adults and siblings. Additional kits may be purchased for $5. Contact Surat Perez to purchase more kits. Wear your Class A uniform! The mandatory inspection and car impounding is on January 21 from 10:00 AM to 1:00 PM at at the Pack Shed near the Coyote Creek Kindergarden area. If you need help cutting the wood block, you could take it to Ace Hardware. The store staff may charge each car $5. You can also use their equipment to sand, align the wheels, and fine-tune various details. Each car must pass inspection on January 21 by the official inspection committee before it will be allowed to compete. Once a car passes inspection and is entered into the race, only the race committee members can touch it. If the car loses a wheel, or is otherwise damaged, the racer has 5 minutes to make repairs. On the day of the event, cars will race in multiple heats. Only their best time will be used. All participants will receive a medal and patch for participating. Trophies will be awarded to the fastest three cars in each rank, and the overall fastest three cars in the Pack. We will also give trophies to 1) Best Paint Job, 2) Most Unique, and 3) Most Patriotic. Attention all Cub Scouts – Come join us for fun and competition with your PWD cars at the Blackhawk Automobile Museum on April 16th, 2016 - there will be Speed Racing, a design competition, an open class and other categories. During the event the whole family can tour the Blackhawk Museum’s magnificent auto collection and other fabulous exhibits. Register here before the March 5th deadline. All Cub Scouts may enter. 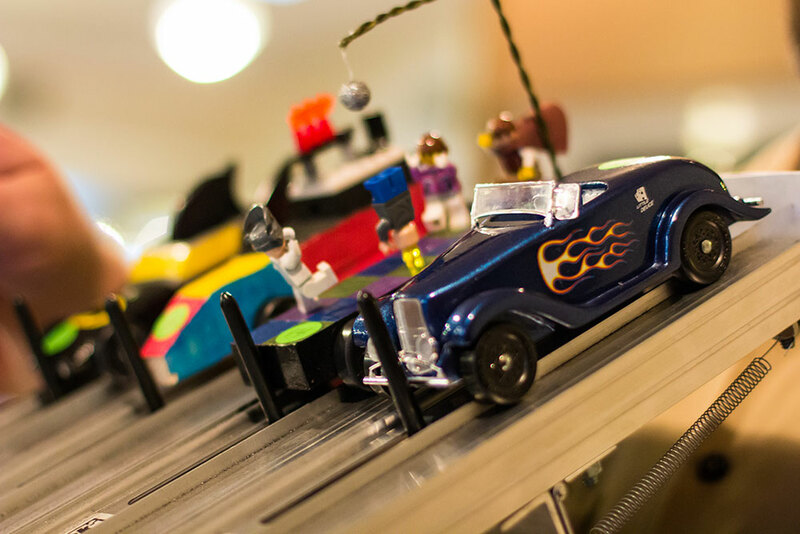 Our Annual Pinewood Derby will be held on January 24 from noon to 3 PM in the MPR! There will be racing, design competitions, and pizzas. Please be conservation minded and bring your own reusable bottle - fresh filtered water available from the nice refillable station in the MPR. We will once again have an open class for adults and siblings. Additional kits may be purchased for $5. Contact Surat Perez to purchase more kits. Wear your Class A uniform! The mandatory inspection and car impounding is on January 23 from 10:00 AM to 1:00 PM at Ajay's Home. If you need help cutting the wood block, you can take it to Alamo Hardware on Sunday, January 10 at 6:00 PM or Monday, January 11 at 4:00 PM. The store staff will cut each car for $5. You can also use their equipment to sand, align the wheels, and fine-tune various details. To minimize wait time, advance sign-up is required. Each car must pass inspection on January 23 by the official inspection committee before it will be allowed to compete. Once a car passes inspection and is entered into the race, only the race committee members can touch it. If the car loses a wheel, or is otherwise damaged, the racer has 5 minutes to make repairs. Race cars shall be constructed from the parts contained in the Official Grand Prix Pinewood Derby® Kit, materials from the kit may be supplemented but not replaced. The use of pre-shaped car bodies, machined wheels or axles acquired from the Internet or other sources is NOT allowed. Racecars may weigh no more than 5 ounces (total) as determined on the official scales during check-in. The car shall roll on the wheels from the kit. The wheels shall turn about the axle nails from the kit. The axle nails shall be firmly affixed to the wood of the car body. The Cub may cut new axle slots (or drill new axle holes) in the original block from the kit. The original axle-to-axle spacing of 4.40" (±0.125" (1/8")) must, however, be maintained. It must be obvious to the judges that the original groove spacing, wheels, and the nails from the kit are being used. Axle nails must be mounted parallel to the track surface. Tilted or canted axles that cause the car to run on the edge of the wheels are not allowed. Wheels must run flat on the track surface. At least three wheels must be in contact with the track surface at all times as the car rolls. Cars may be no longer than 7.00 inches with a maximum width of 2.75 (2¾) inches and a maximum height of 4.00 inches as determined by the official gages during the Registration and Inspection process. Underside clearance of at least 0.375 (3/8) inches and inside wheel to wheel clearance of at least 1.75 (1¾) inches is required to allow the car to clear the racetrack's center guide-strip. Adequate clearance is the responsibility of the racecar builder. IMPORTANT NOTE: Wood blocks supplied in the official kits are often slightly longer than 7.00 inches to allow for final shaping and sanding. Be sure to check the final dimensions of your car carefully. Do not assume that the dimensions of the block supplied in the kit will automatically be legal. Wheel treatment (hub and tread smoothing and polishing) may not result in substantial removal of mass or in reducing the wheel width or diameter from the original kit wheels. Some of the original "tread marks" on the wheel face must remain intact, i.e. apparent to the inspector. (Tread marks are the small zigzag lines visible at the very outer edges of the wheel when it is viewed parallel to the axle line.) Wheels may not be machined or sanded to a beveled condition. At least 80% of the original wheel width must contact with the track surface, and the portion of the wheel surface that contacts the track must remain parallel to the axle. The hub through which the axle nail passes cannot be shortened. The area between the hub and contact surface of the wheel cannot be drilled or otherwise opened. 1. Make sure it weighs 5 oz exactly (use a postal scale or go to the post office) and have the weight centered towards the back of the car. Weight kits are available at scout store, Michaels, and on-line. 3. Consider raising one wheel so the car runs on three wheels. 4. 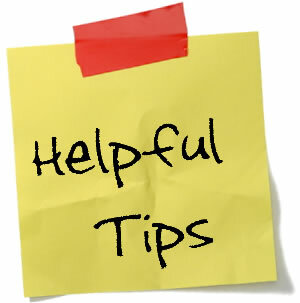 There are lots of online videos, just remember the wheels must run flat to the track, no canted wheels. Attention all Cub Scouts – Bring your PWD cars to the Blackhawk Museum on April 11th, 2015 - there will be Speed Racing, a design competition, an open class and Chartered Organization categories. During the event the whole family can tour the Blackhawk Museum’s magnificent auto collection and other fabulous exhibits (there is a new exhibit called "Spirit of the Old West"). There will be opportunities to learn about summer programs, Cub Scout events, design next year’s (2016) patch, explore the offerings of our scout shop, and much, much more! Wear your full Scout “Class A” uniform and get your whole family into the museum for FREE! For those of you who missed the December Pack meeting, we passed out Pinewood Derby Kits to all the scouts at the meeting. If you would like a kit for your Scout (free) or Sibling ($5/kit), please contact Surat before January 12, 2015. All Cubs are invited to the annual Mt. Diablo Silverado Pinewood Derby ! Registration includes entry to the museum, an exclusive 2014 Blackhawk 500 patch, a chance to design the 2015 Blackhawk 500 patch, an exclusive sneak peak into 2014 Cub Scout Summer events, a sneak peak into the offerings of the Scout Shop, and much, much more! Wear your full Scout field uniform and get your whole family in to the museum for free! Don't miss this chance for an exciting race day with your family! More details and registration info are available here. Please contact Cyndi Davis at (925) 674-6102 or email with questions. Here is Pinewood Derby Tip #3 and a link to a fun article from the Columbus Dispatch. 10% off Dremel coupon, which can be applied to your entire Dremel purchase. On select Saturdays listed above. Free to attend - give your store a call to verify one is taking place.